This post is for all my local friends! On the weekend of September 12-14, there is going to be a super fun family event in Carrboro! The brain child of daddy blogger Jay Radford of Mom in Chapel Hill (yup, you read that right! Mom in Chapel Hill is a dad. How cool is that? 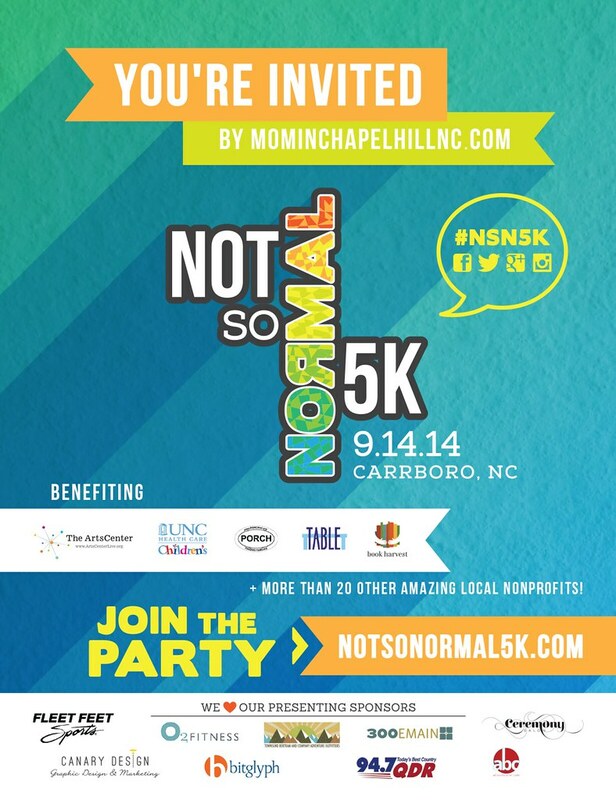 ), this is the first annual Not So Normal 5K run and weekend event. It’s a weekend jam-packed with events to bring together the local community. All proceeds will benefit local non-profits. The event begins on Friday and continues into Saturday with kids’ parties, babysitting options, restaurant specials, a comedy show, outdoor movie, and Carrboro Art Walk… whew! It is going to be so much fun. There is something for everyone! On Sunday, the 5K race is first thing in the morning. The whole event will wrap up on Sunday night with a Frankie Ballard concert at University Mall! For all the details on the events, check out their schedule here. If you’re interested in attending, they’ve given me a coupon code to pass along. To receive $5 off the race registration fee, enter BLOGGER14 at checkout. And make sure to mention Rebecca Lately in the referral box! The coupon code expires on August 15, 2014. And if all that wasn’t exciting enough, they have given me two concert tickets to give away to one reader! You can enter using the widget below. Good luck! 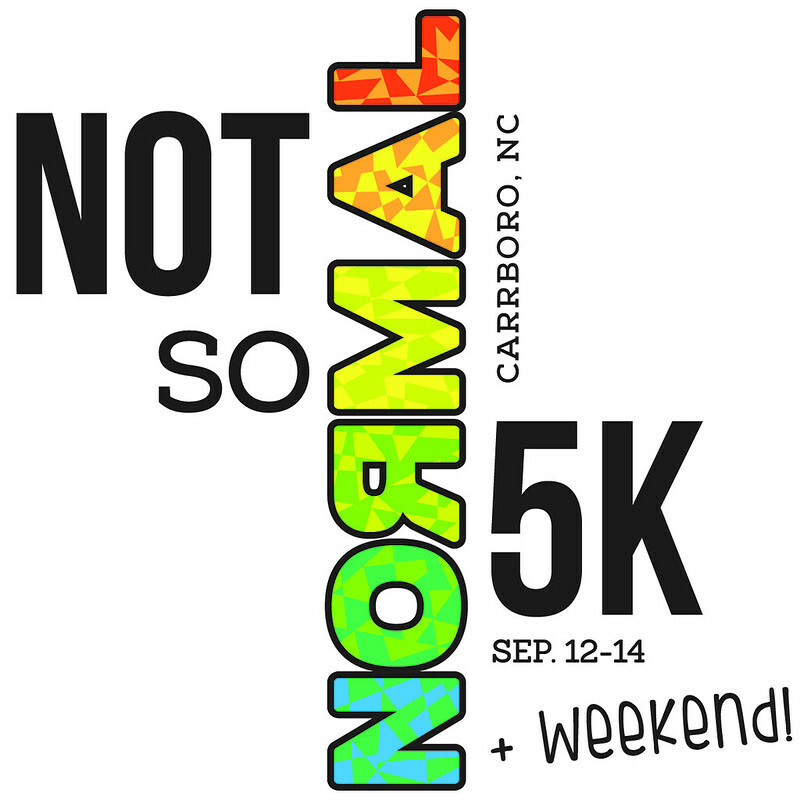 Make sure to follow Not So Normal 5K to get all the latest info on the events!